Phones and Circuit Card REPAIR -DON'T THROW THAT BROKEN NORSTAR EQUIPMENT AWAY! Let us REPAIR/REFURBISH it for a fraction of the cost! Are you are looking for remote maintenance for you Norstar system? Give us a call at 1-800-305-3377 to discuss your application. If your are searching for Norstar phones or components, you have come to the right web-site. Enhance the telecommunications capacity for your business—for less—with Norstar Networks and Meridian phone system solutions. 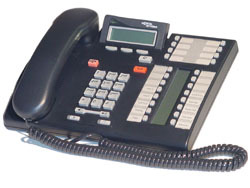 We have the Norstar system for the most efficient small business telephone solution on the market. The Meridian CICS system is our most popular Norstar phone system. It comes out of the box 4 lines and 16 stations and can grow up to 8 lines and 24 stations with caller ID. You can add a Norstar Call Pilot voice mail to the system to capture incoming calls while your are out or on the other line. The Norstar voice mail comes with a built in auto attendent. 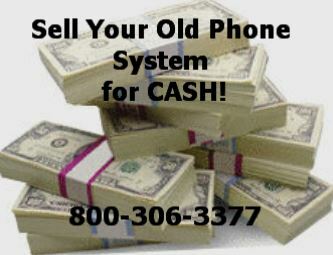 We carry most Refurbished Norstar Phones, systems components and phones. At Craig Communications, we offer the small business phone solution that works with affordable Refurbished Norstar Phones. Each of our Meridian phone systems gives the small business telephone solution a lower cost, more efficient telecommunications system. The Meridian phone system allows all of your calls to be optimized for maximum clarity at minimum cost. YOUR ONE STOP SHOP FOR GREAT NORSTAR PRICING, QUALITY AND CUSTOMER SERVICE WITH A ROCK SOLID 1 YR WARRANTY! Let us help you find the Refurbished Norstar Phones you need for your small business. We have allways given the customers both refurbished and new Norstar telephone systems choices for them to be able to take full advantage of the latest and greatest in Norstar phone system technology. Call us to find the Norstar phone or Meridian phone solution for your business today.